How Do You Edit and Produce an Audio Drama Podcast? Audio Drama is one of the most complex types of podcast you can create. From planning to publishing, the entire process dwarfs that of a conversational podcast. For this reason, serialised Audio Dramas are a lot less sustainable than other types of podcast. Few (if any) Audio Dramas run on an ongoing weekly episode schedule. Batch-creating seasons, or putting episodes out as and when they’re ready are more common approaches in this medium. 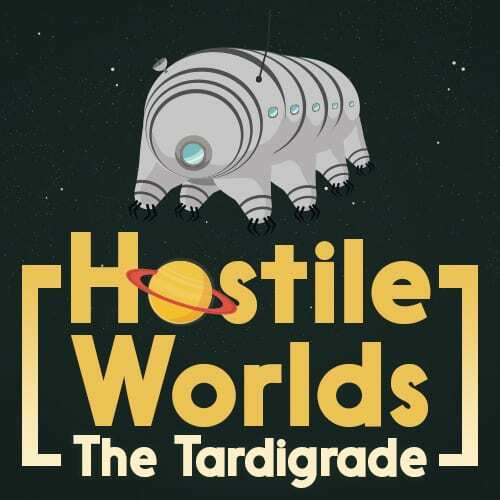 At The Podcast Host, we run a series called Hostile Worlds. This is an Audio Drama combined with space/science documentary elements. It’s a really heavily produced show and each episode takes a lot of work to put together. If you’ve ever thought about running your own Audio Drama series it can hard to figure out where to start, what to do, and in what order to do it. In this article I’m going to outline my production process for you. My way certainly isn’t the only way to do things, but I’ve gradually honed it over the years, and it works for me. Over time you’ll develop your own workflow that suits you. But hopefully by looking through a pre-existing one this’ll at least help you towards getting started! Like any type of podcast, the key element is the speech. Audio Dramas tend to be fully scripted. Completed scripts will then be recorded by the voice actors, either together in a studio, online over a program like Source Connect, or independently and in isolation. My first real post-production task is to get the dialogue into my DAW (I use Adobe Audition) and check that there’s no audio quality issues. This could be things like clipping, distortion, excessive reverb, or any other unwanted sounds. I’m also making sure that the dialogue works and flows together, especially if it has been recorded in isolation. Sometimes I’ll need a retake on the odd line or two. Recently, our two main voice actors (Sarah and David) have been performing the script online together, whilst recording their own audio independently. This makes it much easier for me to sync up than if I was getting in two files of lines recorded in isolation. I’d then need to run through and select the best takes before building the dialogue from scratch. As our voice actors record with pro-level equipment in treated environments, it isn’t necessary to do much “restoration” work to the source files. I’ll use Audition’s Adaptive Noise Reduction feature to take out the noisefloor (that light hiss under the vocals). With the ANR, I’ll create a new “cleaned” version of each dialogue track. The rest of the processes I apply are done in the Effects Rack, so they’re “non-destructive” and can be toggled on/off, or tweaked. I’ll usually roll off the bottom 80Hz with the Graphic EQ feature, apply some light compression, and sometimes the De-Esser if necessary. The EQ just removes really low frequencies that don’t need to be there, because they’re out with the range of normal human hearing. The De-Esser is used to take the harshness out of the “esses” in a voice actor’s lines. Whilst compression just helps level out the volume by pulling the quieter and louder bits closer together. Music can really make or break an Audio Drama, in my opinion. In Hostile Worlds we use a lot of atmospheric beds and transitions. I prefer to lay these out before moving on to the sound effects and ambient layers. I use Audition’s Envelope feature to “duck” music tracks in and out between the dialogue. I fade music tracks in and out, chop them up, and sometimes overlap them. Once this musical layer is built, the rest is really the icing on the cake. I tend to place the small “spot” sound effects first. The ones that need tinkered with and moved around a bit for timing purposes. These are things like chair creaks, button presses, and general “Foley”. Then the bigger ambient beds can go in. These are the overall sounds of the scene environments themselves. This might be anything from simple room noise to rain, wind, or thunder. At this stage, though everything is laid out and in order, the volume levels are still all over the place. I run through the session a few times making adjustments as I go. My aim is that the listener shouldn’t need to touch the volume dial when listening. Though at the same time, I want each episode to have as much dynamic range as possible. I’ll adjust volumes either by track (which alters the volume of every clip in that track), or by using the Envelope feature to tweak individual clips. I shoot for an overall loudness of -19LUFS (LUFS is a loudness measurement) and can run the full episode mixdown through Audition’s Match Loudness function to see when I’ve hit it. I don’t go mad with panning nowadays, as it can be jarring for some listeners. But I do still like to use it liberally. I separate character voices with light panning. I’ll also use the technique for effect in special scenes or transitions. Basically, I’m just looking to give some space and dimension to the finished piece. I like Audio Drama to be as immersive as possible. I always recommend mixing down your audio and listening to it away from the computer a few times. This stops you staring at the multitrack view and “editing with your eyes” (as opposed to your ears). Going out for a walk and listening through earbuds also puts you in the position of your listener. This is how most people are going to consume your show. At this point I’m making sure I’m happy with the timing and general pacing of everything. I’m also on the lookout (listen-out?) for anything that’s a bit too loud, or a bit too quiet. The “final listen” (it’s actually more like 20 “final” listens) is necessary, but you need to be careful not to drive yourself mad. In Audio Drama, it’s better to err on the side of perfectionism in my opinion. You’ve got to draw the line somewhere though. Otherwise you’ll never actually get anything finished and out there. I tend to opt for a bitrate of 192kbps for my Audio Dramas, prior to upload. This is way higher than I’ll mix spoken-word shows. Usually I’d go with 96kbps for those. I use the iTunes desktop app to enter metadata and cover art to the finished MP3, before publishing to Libsyn. And there’s absolutely no time to kick back and enjoy the moment, because it’s immediately time to get started on the next episode! This type of podcasting is hard work, and can be a very steep learning curve. But it’s also extremely rewarding. It takes years of practice to start creating anything or serious quality. But the only way to get there, is to actually start. And when you do start, start small. Don’t overwhelm yourself by trying to learn absolutely everything at once. At the same time though, keep one foot outside your comfort zone, seek feedback from those qualified to give it. Always seek to make your next episode better than your last one. 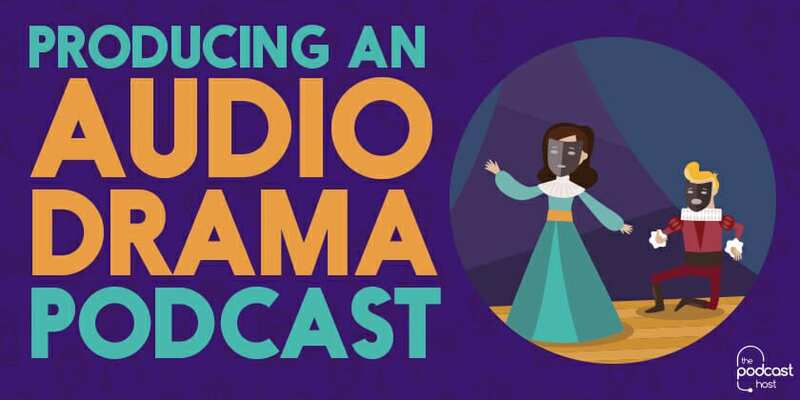 There’s a growing demand for good Audio Drama podcasts, and that demand is only going to keep growing. If you’re prepared to work hard, there’s a huge audience out there waiting to hear your stories! If you’re looking for more help getting started then a great resource is the Audio Drama Production Podcast. For some inspiration towards making your own series, I’ve also put together a list of my top 10 favourite Audio Dramas. And if you’re looking to work with us directly for some mentorship and support, then check out The Podcast Host Academy! What is a Low Pass Filter & is it Good for Podcasting?